Are you interested in rural development, agricultural policy, nature conservation and climate change? Do you want to know more about how globalization processes affect these areas in an EU Member state, and what local responses can be identified? 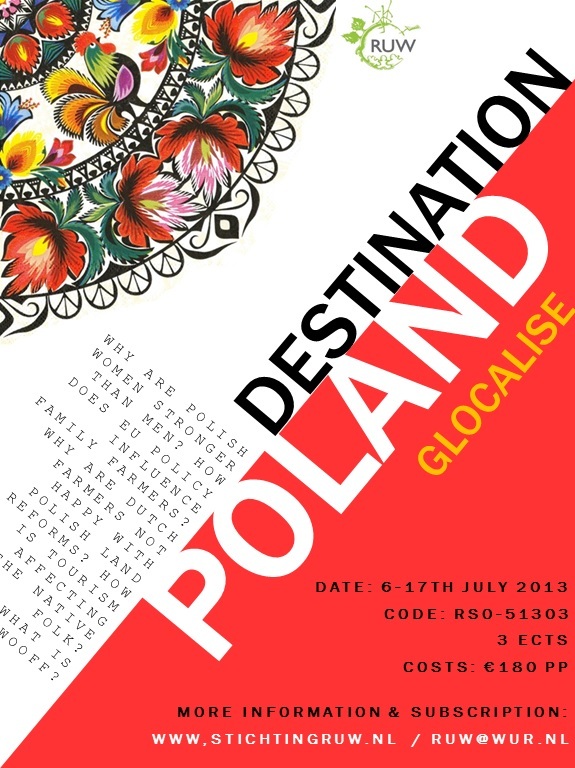 Join the study trip to Poland, organized by RUW Foundation and the Rural Sociology Group. In a 10 day intensive program, we will visit different cities and rural areas in Poland, meet with interesting organizations and work on a farm! For more information and subscription click here!